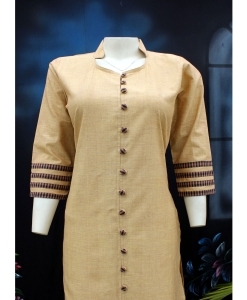 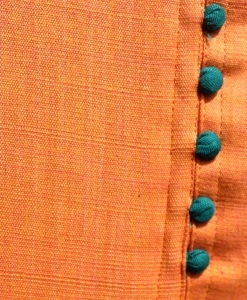 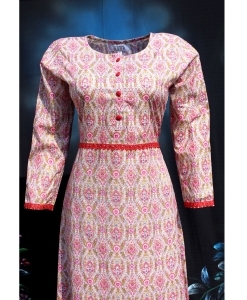 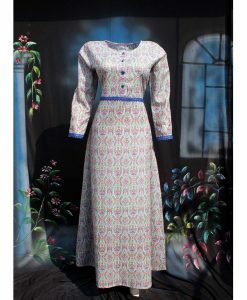 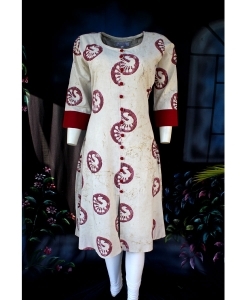 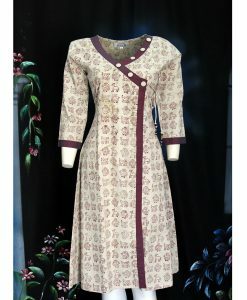 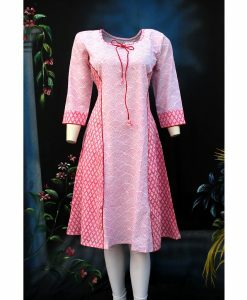 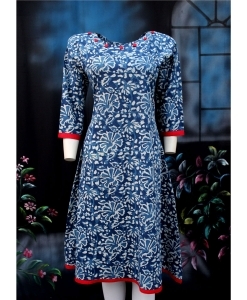 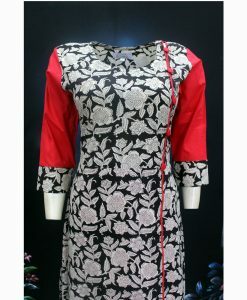 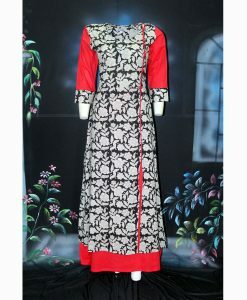 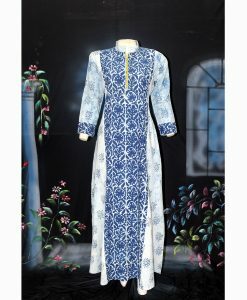 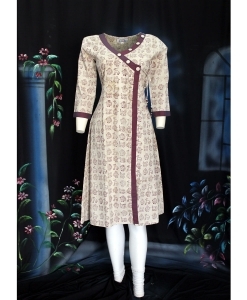 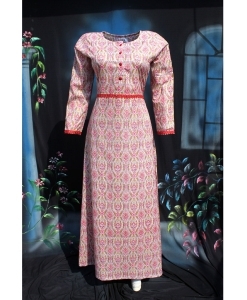 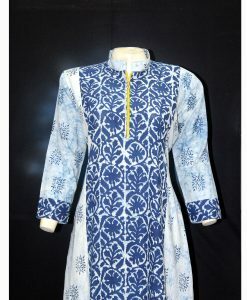 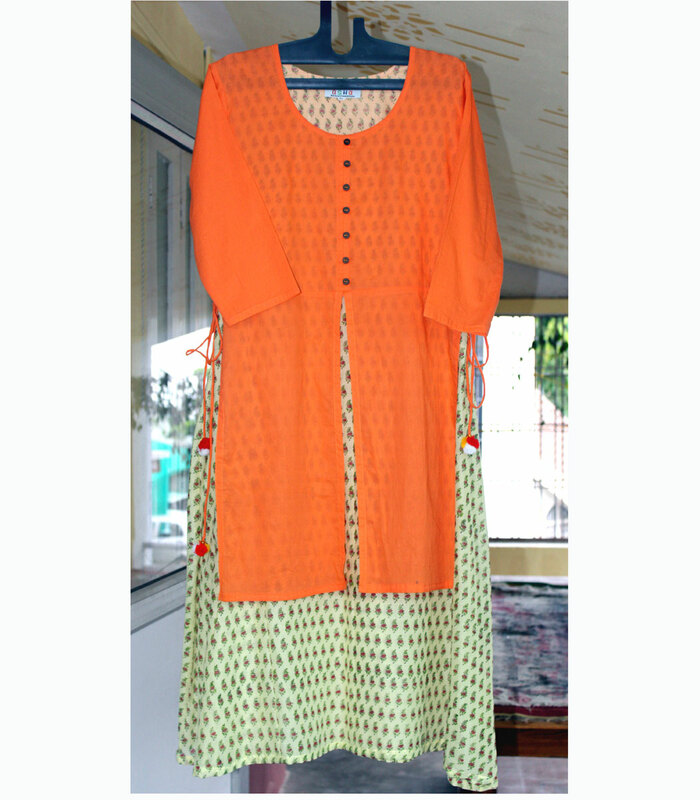 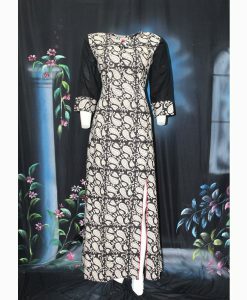 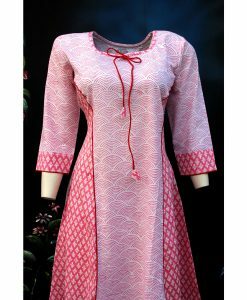 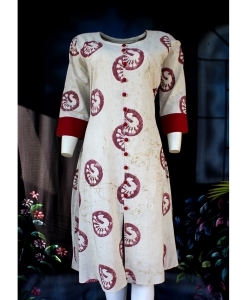 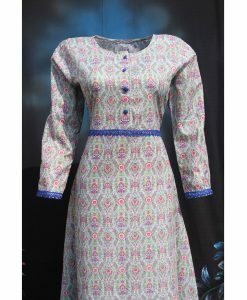 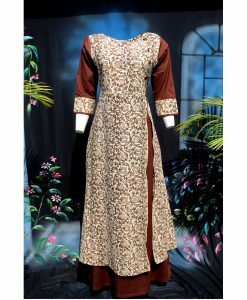 A Line kurti with Length – 50 inches. 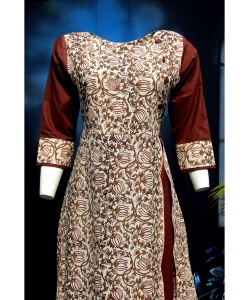 As it is a hand made product, there may be slight irregularity in pattern which is the feature of hand block printing. 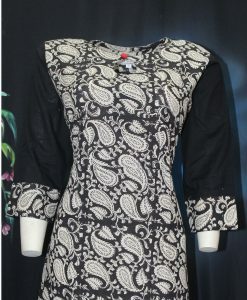 This unique style of hand block printing enhances the beauty of the product.